After finding success with his Model T, Henry Ford instituted the $5 workday to help his workers buy the cars they built. They busted their asses on the assembly line to crank out a car every 24 seconds in 1927. Henry's 5 bucks gave rise to the American middle class, and that middle class gave rise to my Dad. He worked at Ford Motor Company for 33 years, and met my Mom in the factory - on the assembly line. I've ridden in Ford's throughout my life and shamelessly admit that my first car was a 1992 Ford Aerostar. I drove a 1993 Mercury Grand Marquis for 5 years, and she rode like a dream. Ford has put food on my plate and wheels under my feet, that's for sure. 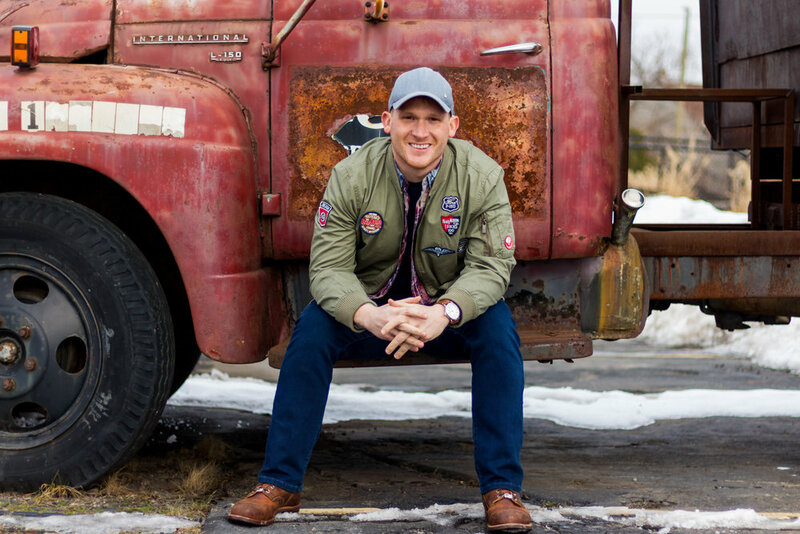 When I came across this broken down junker in Southwest Detroit, it inspired me to pull together a look that would honor my family history. 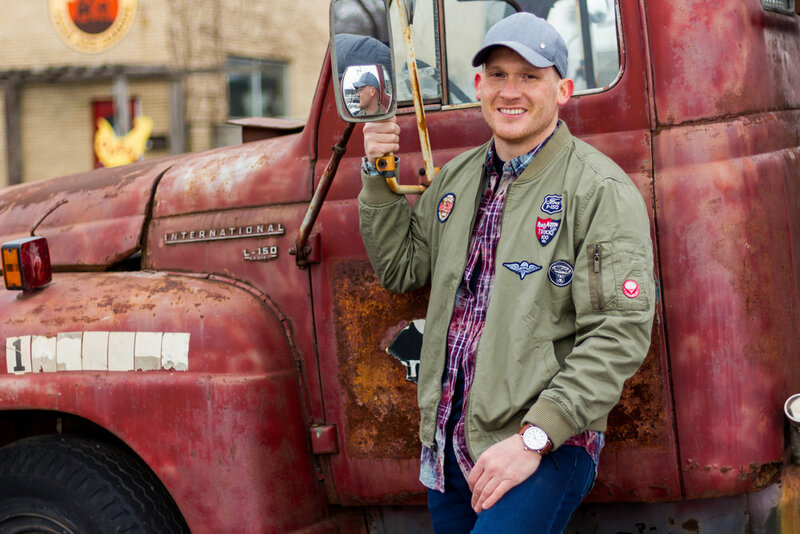 Flag & Anthem has a knack for giving new life to old school American styles, and they collaborated with Ford to celebrate 100 years of Ford trucks. When I saw this olive green bomber full of Ford patches, I knew I had to have it. Thanks for the 5 bucks, Henry. Without you, I wouldn't be me.